German Design Award Winner for 2018! Got a major shoot? This is your tripod. Going to shoot some wildlife with your largest lens? This is your tripod. Video productions? This is it! 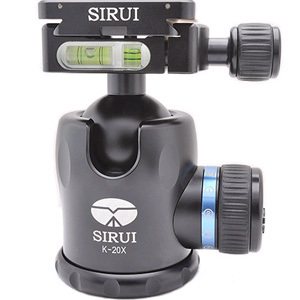 Max Height: 1780mm / 70.1"
Min Height: 115mm / 4.5"
Folded Length: 610mm / 24"
Like all of the tripods in the SIRUI RX series, the R-3213X has a high load capacity. Robust and stable, the R-3213X is well suited for studio work and can quickly be set up to a tall working height and easily support large, heavy camera equipment. And while it will never be a ‘travel’ tripod, the R-3213X is portable enough to make it ideal for nature photographers and filmmakers needing stability in the field. The unique feature of the RX series, including the R-3213X, is the removable mounting plate. 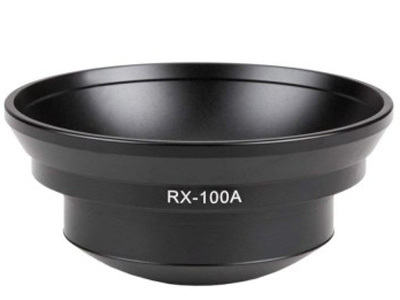 It can be removed and swapped for either a centre column or the 75mm half bowl adapter. 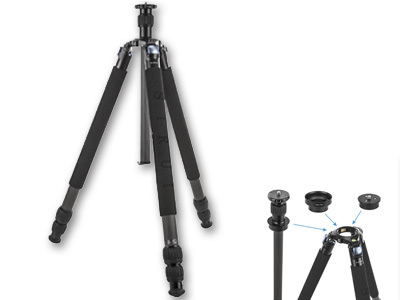 This means that you can raise the height of the tripod to it’s maximum height of 1780 mm with the centre column or, using the 75mm half bowl adaptor, attach and use any 75mm half ball fluid head for video work. The legs are constructed from 10-layer carbon fibre making them extremely strong and light as well as incredibly stable and each tripod comes with a set of non-slip rubber feet, for shooting in the studio, and a set of robust stainless steel spikes to add additional stability when shooting on location. 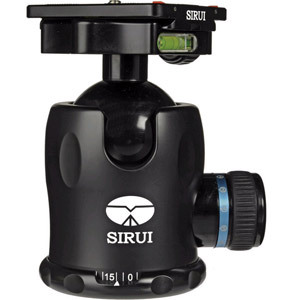 The hallmark of all SIRUI products is the attention to detail, developing products from the ground up with the photographer in mind. 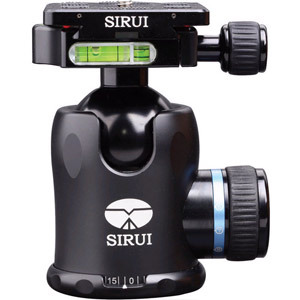 The core features of stability, strength, portability that are at the heart of the R-3213X, and all of the tripods within the SIRUI range, will appeal to image makers who want the best equipment.